Love The Little Ones & The Concord Comets Youth Basketball Organization are selling raffle tickets to win 4 Carolina Panthers tickets to the first game of 2017! Pay $5 for 1 ticket or $20 for 5 tickets. Your purchase is a donation to LTLO & is 100% tax-deductible. Help the children in the community chase their dreams playing sports. We had an incredible time celebrating 9 birthdays at The Nascar Speedpark! Love The Little Ones is hosting a party for 9 kiddos from the children’s home celebrating their birthday on March 25th at Nascar Speedpark! Let us know if you want to donate, help get gifts & we reimburse you, wrap presents, come ride go-carts with us, & celebrate these children. PERMANENT MARKER YOUR CALENDARS FOR MONDAY, OCTOBER 10TH! RICKY PRICE (former Duke basketball player) and his crew, will be running our skills night at New Life Baptist Church. Please bring your basketball player/s out for this unique opportunity. It’s open to ALL kids in the community (boys and girls of all ages). We will run from 7:00-8:30pm. The young ballers (ages 4-8) can still come at their 6:15pm time slot. It’s $15 for new attendees, $10 for additional siblings, family members, or friends. For our returning trainees, the admission fee is locked in at your original $10. Our fees in comparison with what we offer are unheard of in this area. Do not let your ball player miss this one! PLAY HARD, PLAY SMART, PLAY TOGETHER, AND HAVE FUN!!! 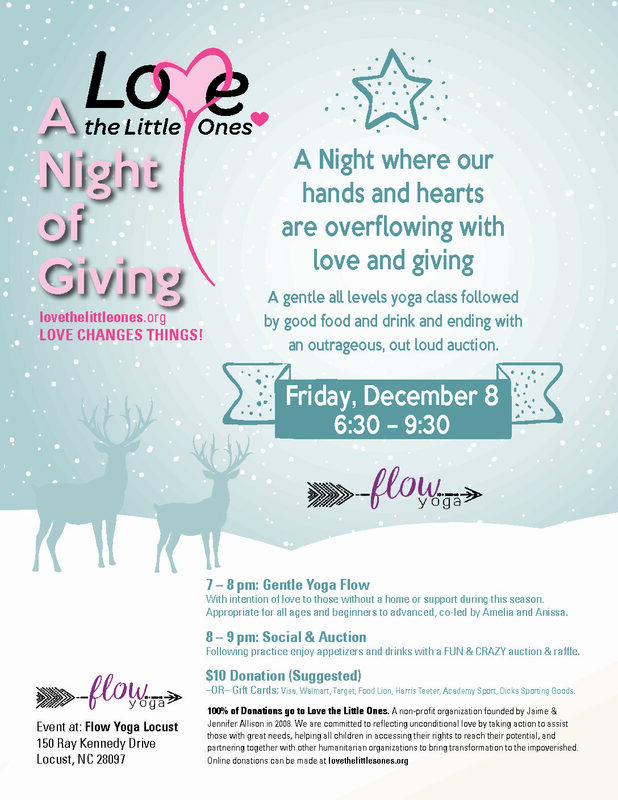 ALL PROCEEDS WILL GO TO “LOVE THE LITTLE ONES” and are 100% tax deductible!